Guests of all cultures and religions are invited to these peaceful, family-orientated celebrations, which will also have plenty of delicious food! 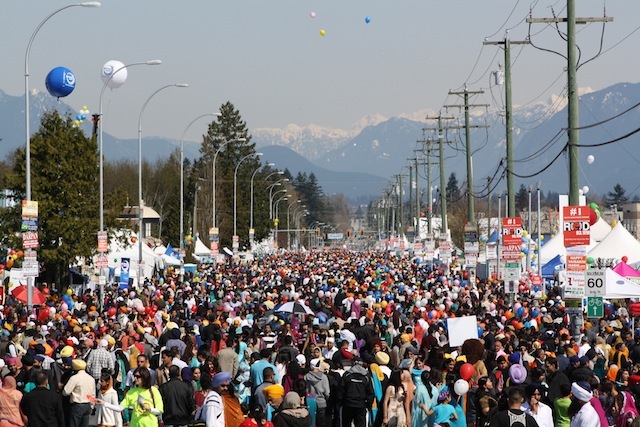 Related: SAF Vaisakhi Fest in Surrey on April 14, 2019. IMPACT 360, the largest annual Dress for Success Vancouver (“DFSV”) fundraiser, is gearing up to be extra special this year as the organization celebrates its 20th anniversary with a Roaring 20s theme. The event features spirit tastings, hors d’oeuvres, music, a silent and live auction in addition to the coveted client fashion show. Connect with over 300 of Vancouver’s most influential business leaders and community supporters. Help DFSV reach their goal to sponsor 100 women for a year at this fabulous evening of giving. Many DFSV clients who benefitted from dressing, career and mentorship programs since 1999 will be in attendance celebrating their success and the corresponding success of their families and communities. The event aims to raise funds to support the the continued elevation and empowerment of women into the economy. IMPACT 360 features a silent and live auction hosted by Fred Lee in addition to delicious appetizers from Lazy Gourmet and exclusive networking opportunities over bespoke cocktails. The evening showcases the exceptional stories of DFSV client ambassadors, while they walk the runway of success in a fashion show, dressed by Turnabout Luxury Resale. The fundraising focuses for this year’s event are for DFSV’s Sponsor a Woman and Professional Women’s Group programs. Dress for Success Vancouver is a registered charity committed to empowering women into the workforce by providing professional attire, career development tools and a career advancement program. An affiliate of the international organization Dress for Success, DFSV was established in 1999 as the first international affiliate and has served over 30,000 women in the Lower Mainland. Follow Dress for Success Vancouver on Facebook, Twitter, and Instagram for more info. 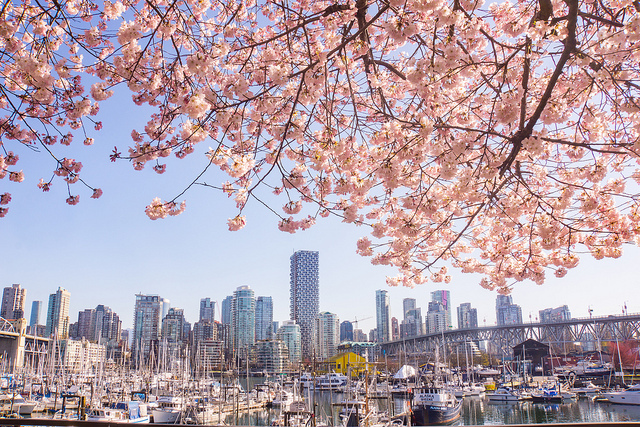 Check out all of the Vancouver Cherry Blossom Festival events and activities running April 4 to April 28, 2019 along with the interactive cherry blossom map to find the best places for photo ops in Vancouver. 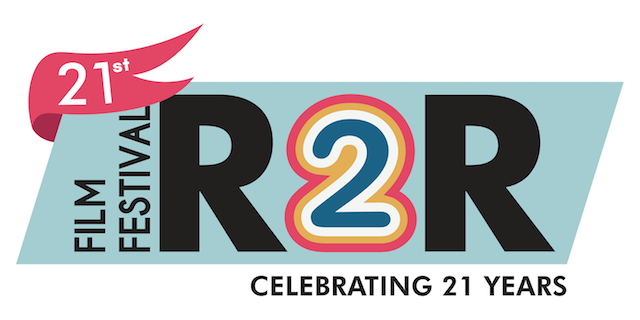 The Reel 2 Real Film Festival is back for the 21st year, from April 7-13, 2019 at the Roundhouse Community Centre and Vancity Theatre at the Vancouver International Film Centre. The Festival is geared towards youth between the ages of 6-19 along with their families, caregivers, and teachers. Through public screenings, hands-on workshops, interactive panel discussions, and public forums, Reel 2 Real’s mission is to involve youth in actively viewing and discussing professionally made films; expose youth to new ideas and cultural perspectives; offer high-quality cinematic entertainment outside the mainstream; explore issues that are important to youth; engage youth in discussions with filmmakers about their work; increase understanding of the art and craft of filmmaking; and promote the production and presentation of high quality independent films for youth. The Opening Night film (April 7th at 4:30pm) will be the Canadian Premiere of Mia and the White Lion (France, South Africa, Germany), directed by Gilles de Maistre. A young girl from London moves to Africa with her parents where she befriends a rare lion cub. This incredible project was developed and filmed in real time over five years as the cast and animals aged and formed real bonds with each other. The young lion whisperer and star of the film Daniah de Villiers, playing Mia, will join us via Skype from her home in South Africa. The Closing Night film (April 13th at 6:30pm) is the Canadian premiere of Pachamama (Canada, Luxembourg). Headstrong Tepulpaï dreams of becoming a shaman. Pachamama’s particular style of animation and use of vibrant colours are drawn from the jungle and mountain forests of the Andean altiplano. Academy and César Award-nominated Didier Brunner, producer of Triplets of Belleville, The Secret of Kells (R2R ‘10), and Ernest & Celestine (R2R ‘13), delivers yet another culturally authentic voice in Juan Antin’s richly textured Andean fable. The focus of this year’s Youth Media Conference (YMC) will be an Inside the Industry panel. The panelists will cover the ‘how-to’ of breaking into and working in the film industry: networking with professionals; where various career opportunities lie; and how to take advantage of them. During this interactive day, which includes a Behind the Scenes job fair, students with an interest in a range of industry opportunities, from screenwriting to set design and cinematography will be able to learn what it really takes to pursue a future in the film industry. Panelists include: Vincent McCurley (VR Creator, NFB);Jenna Brown (Technical Lead, DHX Media); and Siobhan Condon (VFX Producer, Double Negative). Don’t miss Sunday Fun Day to kick off our festival week with some delicious pancakes on Sunday April 7th, 2019 at 10:00am. Enjoy an all-you-can-eat breakfast of homemade pancakes and sizzling bacon. They’ll also have juice, and gallons of hot coffee for the grown-ups. Vegan and gluten-free options are available. Pancakes will be served from 10:00am to 11:30am, and the workshops and films will be offered until 2:30pm. The Reel to Real: A Celebration of Moving Images for Youth Society is a non-profit registered charity dedicated to showing the best in culturally diverse, authentic programming for youth. Reel to Real presents an annual film festival, the Reel 2 Real Film Festival for Youth, and media arts programming year-round. Follow the Reel 2 Real Film Festival for Youth on Facebook, Instagram, and Twitter for more info. I will draw one winner at random from all entries at 9:00am on Friday, April 5, 2019. UPDATE: The winner is Mikaela G! Details: Bring the family and take a hay ride down the Bunny Trail and embark on an egg hunt in the apple orchard. Explore bunny town, jump on the jumping pillow, take a spin around the pedal cart track and more. Taves is also hosting its first event Adult Easter Egg Hunt in the evening on April 20th. Details: This annual fun-filled family friendly weekend features crafts, story time, games, and of course, the Easter Salmon “Egg” Scavenger Hunt, all inside the Gulf of Georgia Cannery National Historic Site. Details: The event will feature a bouncy castle, dance party and so much more! The Easter Egg Hunt portion of the event will take place indoors. All participants are guaranteed to take home a prize. Details: This Easter, uncover all of the quirky and curious facts about the 50,000 creatures living at the Vancouver Aquarium – where weird is normal. Take part in the eggs-tradordinary Easter scavenger hunt, and discover which animal uses its mouth as an egg incubator, and which fish’s eggs are laid in their very own ‘purse’! Details: This free, all ages event is ideal for making memories and taking beautiful photos. Other family fun activities include DIY rabbit ears, decorate egg shaped cookies, scavenger hunts, face painting and more. While there is no egg hunt at this year’s event, families are encouraged to stroll the grounds, consider a walk through Elgin Heritage Park and utilize the photo opp area until 3:00pm. Details: Enjoy an unforgettable Easter experience with your kids (0 to 5 years). Kids can collect eggs near the maze area and receive a chocolate prize, and hop along to fun music on the great lawn. 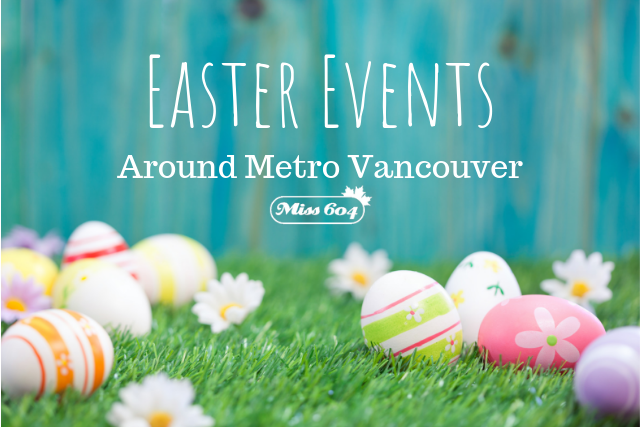 Take a photo with the Easter bunny, and enjoy other eggciting activities at the garden. Please bring your own basket. Bunny ears and costumes are encouraged with prizes awarded for best costume during each session. Tickets include entry to the entire 55-acre garden so make sure to enjoy a picturesque walk after the Easter activities. Details: Enjoy a relaxed scavenger hunt between 10:00am and 5:00pm where every child collects stamps and will receive a treat! For the “hoppiest” little bunnies, join an egg scramble at 11:00am, 1:00pm and 3:00pm. Children ages 5 and younger try to pick up as many foil eggs as they can before they’re gone. Bring your own basket and arrive at least 30 minutes in advance to allow time for parking and to pay site entry. Details: Hop on the Stanley Park Train for an egg-citing Easter ride through the forest and look for cotton-tailed inhabitants. After the train ride, kids can enjoy fun activities including: Scavenger hunt, meeting the Easter Bunny, Easter crafts, bouncers and carnival games, Bunny Burrow Maze, and Toddler Zone. Details: Face painting, ArtsToGo workshop, crafts, entertainment and more at the Egg-Stravaganza Activity Stations and Queen’s Park Farm. Easter bunny photos (suggested $2 donation). Free admission. Details: Britanniasaurus Rex is back again for the annual candy-free Easter Dino Egg Hunt. Find the eggs and then bring them to the mineral table to identify your treasures. While you’re there, make sure to pick up your free gift before they’re all gone. It’s been a staple of summer in Vancouver for the last three decades! Bard on the Beach celebrates its 30th season with a lineup that includes a salute to an all-time favourite Bard production, the stage adaptation of an Oscar-winning romantic comedy, a cross-cultural story set in India, and a powerful, rarely-staged political drama. The season kicks off with The Taming of the Shrew, inspired by Bard’s beloved 2007 Wild West production, a high-energy hit; it plays in repertory with the Elizabethan-set romantic comedy Shakespeare in Love, adapted from the award-winning film of the same name; both areon the BMO Mainstage. The Howard Family Stage offers two new Shakespearean productions that run consecutively: All’s Well That Ends Well, set in 1940s India at the time leading up to Indian independence, and Coriolanus, a riveting political drama filled with resonance for our time. Tickets for all Bard on the Beach plays and special events go on public sale April 3, 2019. Play ticket prices (regular adult) include all fees & taxes and start at $26. 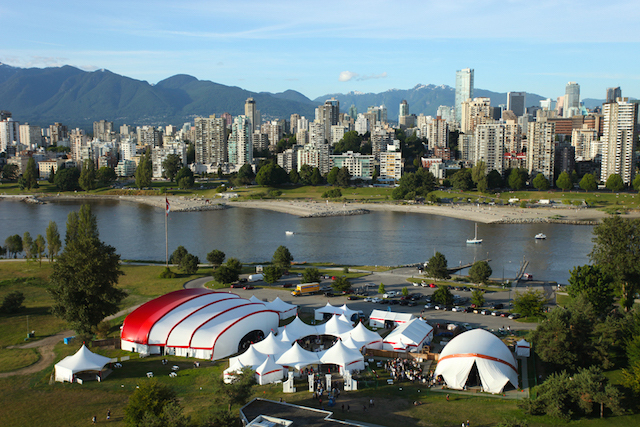 Youth pricing, sponsored by Global BC, is available for patrons ages 6 to 22 at 50% off regular ticket prices. Prices for special events, group bookings and multi-play ticket packages can be found online or by calling the Bard Box Office at (604) 739-0559. Follow Bard on the Beach on Facebook, Instagram, and Twitter for more info about the festival and season. Owned and operated by Rebecca Bollwitt, Miss604.com (since 2004) provides daily information about life in Metro Vancouver, events, community happenings and local history. It also features music, film, and television interviews along with travel features for day-trips and weekend getaways. Online since 1997, Rebecca also started podcasting RadioZoom in 2005, co-founded sixty4media, a WordPress website development firm, in 2008, and co-authored the book, Blogging to Drive Business in 2010.